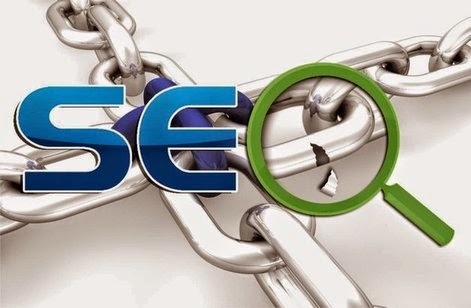 Internal linking is a very important thing for seo. Internal linking means to interlink previous posts with new posts. Some bloggers do this by adding a related post gadget either a simple or with thumbnails while some do this by adding link of old posts in new posts. Like internal links external links are also part of a post. After linking another thing comes which is specifying the links. A link could be specified in two ways as there are two types of links e.g internal and external. Previously I had published an article about adding rel="nofollow" to external links it was to tell robots and crawlers not to follow these links similarly to tell robots to follow your internal links you have to specify it in their language. It will increase chances of your post's links to appear in search results more frequently. So this post is to tell you how can you optimize internal links for better seo but before learn that you have to learn how to do that? well it is similar to rel="nofollow" but you have to make a little change that is to replace rel="nofollow" with rel="dofollow". When a link is specified by rel="dofollow" then humans and robots both are able to follow that link but when rel="nofollow" attribute is added to a link then only humans and able to follow that link. How to create a dofollow link? Its very easy to create a dofollow link. A dofollow link can be created in two ways one is to add rel="dofollow" in the link as shown in above example another way is to leave it as it is mean if you want a link to be followed don't do anything leave it simple as the first example of dofollow links. How to create dofollow links in posts? Well its same as explained in the above paragraph. When you enter a link in the post by using link in the tools, at the same time back hand work goes on in the Html tab of the post writing area. For example you are adding a link http://www.google.com then in the Html tab it will be <a href="http://www.google.com"> target="_blank"</a> Now if you add rel="nofollow" attribute at the time of adding link in the post then it won't be followed by bots so avoid checking the rel="nofollow" attribute. To add a do follow link leave it simple(don't do anything just add a link only) or switch to Html tab find the link which you added by using Ctrl+F on your keyboard and after finding the link just add rel="dofollow" before target="_blank". Note that target="_blank" means that the link will open in new tab and it will only be included in the link if you check open in new tab option while adding the link. Remember to add dofollow to only internal links otherwise robots will follow external links also. Similar to dofollow links there is a meta code which tells robots to follow your blog posts, you can read that post here. This post is about how can you optimize your blog posts with meta codes. Hope you like this post and it was helpful to you, if not ask me in comments or contact me. If you have any suggestions or complaints leave a comment below. Sign up with E-mail to get instant updates. Share this post with others and help 101Helper grow. If you like this post read more below.